The Institute of Export & International Trade (IOE&IT) is helping UK businesses to make vital preparations for Brexit, ensuring that our members are ready for leaving the EU, especially in the event of “No Deal”. To this end, we are attending many meetings with HMRC to understand their their preparedness plans so we can share this information with our members. Please see the Disclaimer Notice below. Please also note that the scenarios would only come into force if the UK were to leave the EU without any deal or Withdrawal Agreement. Before this, Jen Iatalese, Director of Special Projects of the IOE&IT, had attended customs-specific Brexit meetings to discuss HMRC’s Day 1 ‘Easement’ Plan in case of a No Deal. The objective of this blog entry is to summarise this essential information for the benefit of our members and stakeholders. If you are not a member yet, what are you waiting for? Read more about our Membership benefits. HMRC has recently presented their Day 1 ‘Easements’ preparations. The Government's (HMG) objectives for the border are maintaining security, facilitating the flow of goods - including animals, food and plants - and people, as well as the protection of revenue and compliance with standards. At the same time, HMRC and HMG are committed to trade facilitation where possible. We understand that in a No Deal Brexit Day 1 scenario, certain ‘Easements’ - especially around the import of goods at RoRo locations (in particular Dover and Holyhead) - are expected to take place. It is important to recall that it is the “Goods departure message” which will serve as evidence that the goods have left the customs territory of the UK. This will not be routinely given. We expect to receive further information on how to zero rate for VAT purposes. Please also note that businesses are advised to check what the import process is for each EU country they export to, and exactly what documents and entry formalities will be required. The EU has a helpdesk which you may wish to consult as a starting point: http://trade.ec.europa.eu/tradehelp/. The IOE&IT is producing training on how to use it effectively and efficiently. Please let us know if this would be of interest to you. No physical checks will be carried out at the frontier, except where a vehicle has been stopped for an intelligence-led Border Force inspection. The importing process on Day 1 would see companies with an Economic Operator Registration Identification (EORI) number pre-lodging the import declaration or completing them in their own records. These can take various forms: full, simplified or entry into own records (EIDR). The Master Reference Number (MRN) received or the EORI number is then provided to the haulier or freight forwarder. We understand that the MRN does not need to be submitted to ferry operators. When the goods have arrived in the UK, a risk check is carried out either to control the goods or not. Duties are then due, these are either paid or deferred. Business can defer payment if duties are collected regularly on a monthly basis or by use of special relief schemes. If a trader has duties or import VAT to pay, they must have a duty deferment account to use Transitional Simplified Procedures (TSP - see below) or an agent's 'Customs Freight Simplified Procedures (CFSP). In practice, this is a direct debit mandate; it allows HMRC to take a monthly payment of duties (15 days after the supplementary declaration is made). We are expecting further guidance by HMRC on the treatment of comprehensive customs guarantees, however, we are being advised that under Day 1 ‘Easements’ initiatives, HMRC will not require compliance with the usual EU criteria for a customs comprehensive guarantee (CCG) and traders will have until 30 June 2019 to submit a financial guarantee to HMRC to back their deferment account. As usual, those with AEO-C status can seek a reduction in the level of guarantee required to defer duty. Completion of full or simplified declarations will then be completed at the end of each working day following crossing. EIDR will need to be updated at the time of crossing. Under both scenarios, the goods will not have to stop physically. As regards special relief schemes, these will continue as today. HMRC is expected to give 12-month notice if any changes are to be made. What are the future duty rates? In regard to duty rates, ministers are yet to announce the UK customs tariffs, but businesses are advised to refer to the higher of the EU/WTO rates until there is an official confirmation and changes are being made to the UK Trade Tariff. No date for these changes has been announced as yet. Traders can register (details to be provided) to use TSP to delay the lodging of full declarations at RoRo locations only. No application will be required, just a registration. It will involve compliance checks, and the successful registration will be confirmed by a letter. To be eligible, we understand that EORI registered traders must be established in the UK and have the intention to import goods into the UK from the EU. This will not be applicable to goods which are imported from outside the EU and are subject to a Customs Special Procedure. Also, this is not available for traders with a history of non-compliance, intermediaries or persons acting on behalf of someone else, and will also not apply to animal/plant-based cargo. TSP “Standard Goods” process: The trader makes a declaration directly on to their commercial records when the products cross the border. The trader will provide the haulier with their EORI number as proof the goods are subject to a TSP process. This is followed by a supplementary declaration following the arrival of the goods in the UK. TSP “Controlled Goods” process: The trader submits a simplified frontier declaration before arrival at the border, and ensures all necessary certificates and licences are available. The reference number for this declaration is given to the haulier as proof. On arrival in the UK, the trader updates the declaration to arrive before the working day following the crossing. This is followed by a supplementary declaration, following the arrival of the goods, that customs formalities have been entered into in the UK. If the trader is already using this process, they can choose to use it for standard goods as well. TSP will be reviewed 3 to 6 months after 29 March 2019 and a 12 months' notice will be given when HMG decide to withdraw or amend it. Day 1 ‘Easements’ by HMRC will allow intermediaries to act in a direct capacity while using their CFSP authorisations on behalf of a trader who isn't authorised. The trader would be solely liable for any duties or import VAT. This helps intermediaries to take on a ‘one to many approach' - catering for myriad traders at any one point. This policy is intended to be time-limited, but HMRC will give businesses a 12-month notice period when changing this. This will apply to all ports, RoRo and non-RoRo, and extends to Rest of the World (RoW) trade too. HMRC is not proposing to change the eligibility criteria or current exclusions for CFSP, but the intention is to limit it to goods released to free circulation. Please note that all the other criteria for gaining authorisations will still need to be met. This policy will be monitored, and traders will be given 12 months’ notice of any changes. The UK acceded to the Common Transit Convention (CTC) and, pending ratification by the UK parliament, should begin to make use of this post Brexit. The practical benefit of the CTC is that it allows goods to move between signatory countries with only one set of customs checks once they reach their destination, at a facility which can be set away from the physical border of the country of destination. However, to avoid the risk of evasion of customs duty or Value Added Tax, use of the Common Transit procedure requires the business to provide a guarantee to cover the amount of possible debt. The guarantee can be a cash deposit or an undertaking furnished by a financial institution acting as guarantor. Under a no deal scenario, the CCG will still be required to cover several transit movements, but an individual guarantee can be used for single movements. An individual guarantee can include a guarantor undertaking from a bank or financial institution and a cash deposit. The level of guarantee depends on the territories that the goods are moving through. Guarantees can take several weeks to set up, so traders should contact their bank or insurer about this as soon as possible. In addition, the general rule is that goods entered for the transit procedure must be moved to the customs office of destination along an “economically justified route” and within a pre-set time limit; the customs office of departure can also require a specific route be followed. CTC is simplifying (but not eliminating) customs controls on goods moving across Europe once they are in free circulation in any one of the CTC countries. The Common Transit Convention also does not remove the need for non-customs related checks on trade in goods. For example, it does not waive the requirement for products of animal origin to enter the EU via a Border Inspection Post (BIP) and undergo proportional food safety checks before entering the Single Market. Those checks cannot be deferred until the goods reach the Member State of destination. Changes to EMCS will be minimal. The management of excise goods movements between authorised excise locations in the UK and in the EU using EMCS will cease. These movements will instead be managed by EMCS in the same way for imports to or exports from non-EU countries. The EMCS system will be modified to reflect that. The EU Exit event on 29 January confirmed that VAT procedures would be kept the same where possible. A key simplification will be the introduction of postponed VAT accounting from EU & non-EU alike. This means that UK VAT registered businesses importing goods to the UK will be able to account for import VAT on their VAT return, rather than paying import VAT on, or soon after, the time that the goods arrive at the UK border. This will apply both to imports from the EU and non-EU countries. Under this scheme, VAT is not incurred immediately, and import VAT will be reclaimed quarterly as usual. A VAT registration is required to be eligible for postponed VAT accounting. Moreover, an import VAT statement, similar to that of the C79, will be available from the digital services. This statement can be used as evidence on a VAT return. Information is still pending on how non-VAT registered businesses can account for VAT on shipments, which did not receive a departure message. B-2-C: If the UK leaves the EU without an agreement, distance selling arrangements will no longer apply to UK businesses and UK businesses will be able to zero-rate sales of goods to EU consumers. B-2-B: If the UK leaves the EU without an agreement, VAT registered UK businesses will continue to be able to zero-rate sales of goods to EU businesses but will not be required to complete EC sales lists. For shipments valued £135 or less, for parcels coming into the UK, the overseas sender would become liable for the import VAT. A new online HMRC parcel service will allow the overseas seller to register, report and pay the import VAT on a quarterly basis. On registering with the service, the overseas seller will receive a parcel reference number which would need to accompany all parcels valued £135 or less which are sent to UK consumers. Additionally, the low-value consignment relief will be removed. 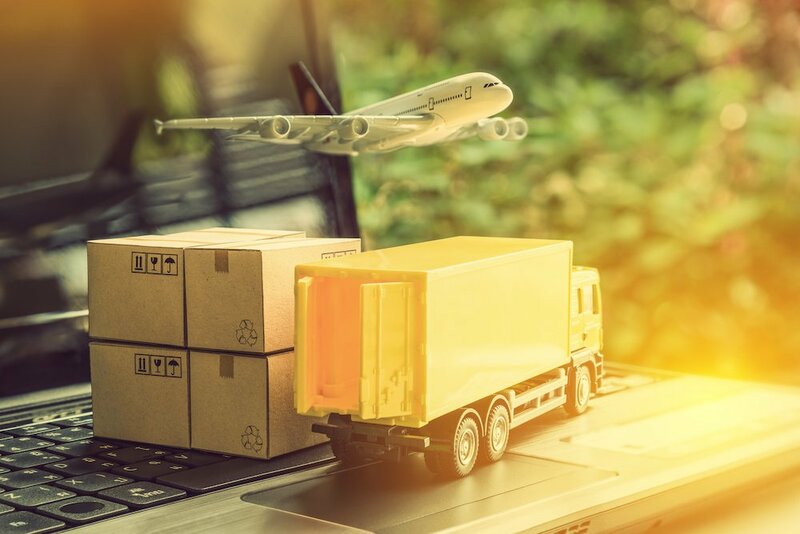 For parcels valued at and above £135, the consumer remains liable for the import VAT and postal operators will continue to collect import VAT and duties from consumers. This does not apply to parcels sent within the UK or to parcels containing excise goods. Online shopping can be affected by these new arrangements. Communication and guidance will be provided. How does the IOE&IT support our members with Brexit?